"Trade Secrets" redirects here. For other uses, see Trade Secrets (disambiguation). A trade secret is a formula, practice, process, design, instrument, pattern, commercial method, or compilation of information not generally known or reasonably ascertainable by others by which a business can obtain an economic advantage over competitors or customers. In some jurisdictions, such secrets are referred to as "confidential information" but are generally not referred to as "classified information" in the United States, since that refers to government secrets protected by a different set of laws and practices. Is the subject of reasonable efforts to maintain its secrecy. These three aspects are also incorporated in the TRIPS Agreement in Article 39. By comparison, under U.S. law, "A trade secret, as defined under 18 U.S.C. § 1839(3) (A), (B) (1996), has three parts: (1) information; (2) reasonable measures taken to protect the information; and (3) which derives independent economic value from not being publicly known". Trade secrets are an important, but invisible component of a company's intellectual property (IP). Their contribution to a company's value, measured as its market capitalization, can be major. Being invisible, that contribution is hard to measure. Patents are a visible contribution, but delayed, and unsuitable for internal innovations. Having an internal scoreboard provides insight into the cost of risks of employees leaving to serve or start competing ventures. In contrast to registered intellectual property, trade secrets are, by definition, not disclosed to the world at large. Instead, owners of trade secrets seek to protect trade secret information from competitors by instituting special procedures for handling it, as well as technological and legal security measures. Legal protections include non-disclosure agreements (NDAs), and work-for-hire and non-compete clauses. In other words, in exchange for an opportunity to be employed by the holder of secrets, an employee may sign agreements to not reveal their prospective employer's proprietary information, to surrender or assign to their employer ownership rights to intellectual work and work-products produced during the course (or as a condition) of employment, and to not work for a competitor for a given period of time (sometimes within a given geographic region). Violation of the agreement generally carries the possibility of heavy financial penalties which operate as a disincentive to reveal trade secrets. However, proving a breach of an NDA by a former stakeholder who is legally working for a competitor or prevailing in a lawsuit for breaching a non-compete clause can be very difficult. A holder of a trade secret may also require similar agreements from other parties he or she deals with, such as vendors, licensees, and board members. As a company can protect its confidential information through NDA, work-for-hire, and non-compete contracts with its stakeholders (within the constraints of employment law, including only restraint that is reasonable in geographic- and time-scope), these protective contractual measures effectively create a perpetual monopoly on secret information that does not expire as would a patent or copyright. The lack of formal protection associated with registered intellectual property rights, however, means that a third party not bound by a signed agreement is not prevented from independently duplicating and using the secret information once it is discovered, such as through reverse engineering. Therefore, trade secrets such as secret formulae are often protected by restricting the key information to a few trusted individuals. 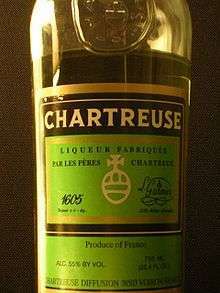 Famous examples of products protected by trade secrets are Chartreuse liqueur and Coca-Cola. Because protection of trade secrets can, in principle, extend indefinitely, it therefore may provide an advantage over patent protection and other registered intellectual property rights, which last only for a specific duration. The Coca-Cola company, for example, has no patent for the formula of Coca-Cola and has been effective in protecting it for many more years than the 20 years of protection that a patent would have provided. In fact, Coca-Cola refused to reveal its trade secret under at least two judges' orders. [T]he Roman owner of a mark or firm name was legally protected against unfair usage by a competitor through the actio servi corrupti ... which the Roman jurists used to grant commercial relief under the guise of private law actions. "If, as the writer believes [writes Schiller], various private cases of action were available in satisfying commercial needs, the state was acting in exactly the same fashion as it does at the present day." Schiller is sadly mistaken as to what was going on. ... The actio servi corrupti presumably or possibly could be used to protect trade secrets and other similar commercial interests. That was not its purpose and was, at most, an incidental spin-off. But there is not the slightest evidence that the action was ever so used. In this regard the actio servi corrupti is not unique. Exactly the same can be said of many private law actions including those for theft, damage to property, deposit, and production of property. All of these could, I suppose, be used to protect trade secrets, etc., but there is no evidence they were. It is bizarre to see any degree the Roman actio servi corrupti as the counterpart of modern law for the protection of trade secrets and other such commercial interests. Trade secret law as we know it today made its first appearance in England in 1817 in Newbery v James, and in the United States in 1837 in Vickery v. Welch. While those cases involved the first known common law causes of action based on a modern concept of trade secret laws, neither involved injunctive relief; rather, they involved damages only. In England, the first case involving injunctive relief came in 1820 in Yovatt v Winyard, while in the United States, it took until the 1866 case Taylor v. Blanchard. Trade secrets law continued to evolve throughout the United States as a hodgepodge of state laws. In 1939, the American Law Institute issued the Restatement of Torts, containing a summary of trade secret laws across states, which served as the primary resource until the latter part of the century. As of 2013, however, only four states—Massachusetts, New Jersey, New York, and Texas—still rely on the Restatement as their primary source of guidance (other than their body of state case law). It has also been recently theorized that the doctrine of trade secrets should protect competitively valuable, personal information of company executives, in a concept known as "executive trade secrets". The EU adopted a Directive on the Protection of Trade Secrets on 27 May 2016. In Commonwealth common law jurisdictions, confidentiality and trade secrets are regarded as an equitable right rather than a property right (with the exception of Hong Kong where a judgment of the High Court indicates that confidential information may be a property right). The Court of Appeal of England and Wales in the case of Saltman Engineering Co Ltd v. Campbell Engineering Ltd held that the action for breach of confidence is based on a principle of preserving "good faith". See Breach of confidence in English law. There must be an unauthorized use of that information to the detriment of the party communicating it. The "quality of confidence" highlights that trade secrets are a legal concept. With sufficient effort or through illegal acts (such as breaking and entering), competitors can usually obtain trade secrets. However, so long as the owner of the trade secret can prove that reasonable efforts have been made to keep the information confidential, the information remains a trade secret and generally remains legally protected. Conversely, trade secret owners who cannot evidence reasonable efforts at protecting confidential information risk losing the trade secret, even if the information is obtained by competitors illegally. It is for this reason that trade secret owners shred documents and do not simply recycle them. Although trade secrets law evolved under state common law, prior to 1974, the question of whether patent law preempted state trade secrets law had been unanswered. In 1974, the United States Supreme Court issued the landmark decision, Kewanee Oil Co. v. Bicron Corp., which resolved the question in favor of allowing the states to freely develop their own trade secret laws. In 1979 several U.S. states adopted the Uniform Trade Secrets Act (UTSA), which was further amended in 1985, with approximately 47 states having adopted it as the basis for trade secret law. Another significant development is the Economic Espionage Act (EEA) of 1996 (18 U.S.C. §§ 1831–1839), which makes the theft or misappropriation of a trade secret a federal crime. This law contains two provisions criminalizing two sorts of activity. The first, 18 U.S.C. § 1831(a), criminalizes the theft of trade secrets to benefit foreign powers.The second, 18 U.S.C. § 1832, criminalizes their theft for commercial or economic purposes. (The statutory penalties are different for the two offenses.) The EEA was extended in 2016 to allow companies to file civil suits in federal court. On July 6, 2016, President Obama signed the Defend Trade Secrets Act (DTSA), 18 U.S.C.§§1839 et seq., which for the first time created a federal cause of action for misappropriating trade secrets. The DTSA provides for both a private right of action for damages and injunction and a civil action for injunction brought by the Attorney General. The statute followed state laws on liability in significant part, defining trade secrets in the same way as the Uniform Trade Secrets Act as "all forms and types of financial, business, scientific, technical, economic, or engineering information, including patterns, plans, compilations, program devices, formulas, designs, prototypes, methods, techniques, processes, procedures, programs, or codes, whether tangible or intangible, and whether or how stored, compiled, or memorialized physically, electronically, graphically, photographically, or in writing if (A) the owner thereof has taken reasonable measures to keep such information secret; and (B) the information derives independent economic value, actual or potential, from not being generally known to, and not being readily ascertainable through proper means by, another person who can obtain economic value from the disclosure or use of the information." However, the law contains several important differences from prior law. First, because it is a federal law, trade secret cases can be prosecuted in federal courts with concomitant procedural advantages. Secondly, it provides for the unusual remedy of preliminary seizure of "property necessary to prevent the propagation or dissemination of the trade secret," 18 U.S.C. §1836. Third, it provides for remedies to include royalties in appropriate cases and exemplary damages up to two times the actual damages in cases of "willful and malicious" appropriation, 18 U.S.C. §1836(b)(3). The DTSA also clarifies that a United States resident (including a company) can be liable for misappropriation that takes place outside the United States, and any person can be liable as long as an act in furtherance of the misappropriation takes place in the United States, 18 U.S.C. §1837. The DTSA does not preempt or supplant state laws, but provides an additional cause of action. The DTSA provides the courts with broad injunctive powers. 18 U.S.C. §1836(b)(3), Because states vary significantly in their approach to the "inevitable disclosure" doctrine, the DTSA explicitly rejected its use under the DTSA, 18 U.S.C.§1836(b)(3)(A). In the United States, trade secrets are not protected by law in the same manner as patents or trademarks. Specifically, trademarks and patents are protected under federal statutes, the Lanham Act and Patent Act, respectively. In contrast, trade secrets are protected under state laws, and most states have enacted the Uniform Trade Secrets Act (UTSA), except for Massachusetts, New York, and North Carolina. One of the differences between patents and trademarks, on the one hand, and trade secrets, on the other, is that a trade secret is protected only when the secret is not disclosed. To acquire a patent, full information about the method or product has to be supplied to the patent office and upon publication or issuance, will then be available to all. After expiration of the patent, competitors can copy the method or product legally. The temporary monopoly on the subject matter of the patent is regarded as a tradeoff for thus disclosing the information to the public. One popular misconception held by many is that trade secret protection is incompatible with patent protection. It is typically said that if one applies for a patent one can no longer maintain a trade secret on the invention, but this is an oversimplification. It is true that in order to obtain a patent one must disclose your invention so that others will be able to both make and use the invention, and, to obtain a patent in the United States, any preferences must likewise be disclosed. What is typically not appreciated though is that the critical time for satisfying this disclosure requirement is at the time the application is filed. In many if not most situations, improvements will be made to an invention even after filing of the patent application, and additional information will be learned. None of this additional information must be disclosed and can instead be kept as a secret. Virtually all patent licenses include clauses that require the inventor to disclose any trade secrets they have. Frequently it is this information not disclosed in the patent that is the most commercially viable. Thus, patent licensors should take steps to continue to maintain trade secrets as secrets, otherwise they will be lost. Accordingly, before disclosing any secrets not already protected by an issued patent the licensor will use a non-disclosure agreement. Compared to patents, the advantages of trade secrets are that a trade secret is not limited in time (it "continues indefinitely as long as the secret is not revealed to the public", whereas a patent is only in force for a specified time, after which others may freely copy the invention), a trade secret does not imply any registration costs, has an immediate effect, does not require compliance with any formalities, and does not imply any disclosure of the invention to the public. The disadvantages of trade secrets include that "others may be able to legally discover the secret and be thereafter entitled to use it", "others may obtain patent protection for legally discovered secrets", and a trade secret is more difficult to enforce than a patent. Trade secret regulations that mask the composition of chemical agents in consumer products have been criticized for allowing the trade secret holders to hide the presence of potentially harmful and toxic substances. It has been argued that the public is being denied a clear picture of such products' safety, whereas competitors are well positioned to analyze its chemical composition. In 2004, the National Environmental Trust tested 40 common consumer products; in more than half of them they found toxic substances not listed on the product label. Data General Corp. v. Digital Computer Controls, Inc., 297 A.2d 433 (Del. Ch. 1971): protection and disclosure of design documents. Rivendell Forest Prods. v. Georgia-Pacific Corp., 28 F.3d 1042: trade secrets and software systems. IBM v. Papermaster (No. 08-9078, 2008 U.S. Dist): Mark Papermaster moving from IBM to Apple computer in 2008. Du Pont de Nemours and Company v. Kolon Industries Incorporated, Nos. 10-1103, 10-1275. U.S. Court of Appeals for the Fourth Circuit. Argued Oct. 26, 2010–March 11, 2011. trade secrets case involving Kevlar fiber, resulting in award to DuPont of ~US$920 million. Christou v. Beatport, LLC constituted that MySpace profiles could be held as trade secrets. ↑ Lin, Tom C. W. (28 April 2012). "Executive Trade Secrets" – via papers.ssrn.com. ↑ "Common Issues and Challenges in Prosecuting Trade Secret and Economic Espionage Act Cases, U.S. Attorneys' Bulletin, at 7 (Nov. 2009)" (PDF). justice.gov. ↑ Baruch Lev (2001): Intangibles, Management, Measurement and Reporting, with comments by conference participants; Brookings Institution Press, 2001. ↑ Elbaum, Dan (2011). "Human factors in information-age trade secret protection". Cornell HR Review. Retrieved 2011-07-18. ↑ "Customer Lists as Trade Secrets". The National Law Review. Dykema Gossett PLLC. 2009-12-30. Retrieved 2012-04-19. 1 2 Alan Watson, Trade Secrets and Roman Law: The Myth Exploded, 11 Tul. Eur. & Civ. L.F. 19, 19 (1996). 1 2 See The Surprising Virtues of Treating Trade Secrets as IP Rights, 61 Stan. L. Rev. at 315 & n.6. ↑ Goldman, Eric (April 28, 2016). "The New 'Defend Trade Secrets Act' Is The Biggest IP Development In Years". Forbes. ↑ Toren, Peter J. (May 24, 2016). "Definition of a 'Trade Secret' Under the DTSA". IPWatchdog. Retrieved 8 September 2016. ↑ Kelton, Jeff (June 24, 2016). "Protections of the Newly Enacted Defend Trade Secrets Act". American Bar Association. Retrieved 8 September 2016. ↑ The "inevitable disclosure" doctrine allows an employee's new employment to be enjoined if the court determines that the nature of his new duties will inevitably lead to a disclosure or improper use of trade secrets of the prior employer. It has been accepted in a number of states (see, e.g., PepsiCo, Inc. v. Redmond, 54 F.3d 1262 (7th Cir. 1995)(applying Illinois law), and flatly rejected in others (see, e.g., Schlage Lock Co. v. Whyte, 101 Cal. App. 4th 1443 (2002) (applying California law). ↑ A Court may grant an injunction, provided the order does not "prevent a person from entering into an employment relationship, and that conditions placed on such employment shall be based on evidence of threatened misappropriation and not merely on the information that the person knows...." 18 U.S.C. §1836(b)(3)(A)(i)(I). ↑ "35 U.S.C. 112". Uspto.gov. Retrieved 2012-01-02. 1 2 Klinkert, Friedrich (April 2012). The Misappropriation of Trade Secrets in Germany and U.S. Discovery Aid. MIPLC Lecture Series. p. 6. Retrieved May 6, 2012. ↑ Klinkert, Friedrich (April 2012). The Misappropriation of Trade Secrets in Germany and U.S. Discovery Aid. MIPLC Lecture Series. p. 7. Retrieved May 6, 2012. 1 2 Randall Fitzgerald. The Hundred Year Lie. Dutton, 2006. p. 24. ISBN 0-525-94951-8. ↑ "Nos. 10-1103, 10-1275. - DU PONT DE NEMOURS AND COMPANY v. KOLON INDUSTRIES INCORPORATED - US 4th Circuit". Caselaw.findlaw.com. Retrieved 2012-01-02. ↑ "DuPont Wins Trade Secret Case Against Kolon Industries - WILMINGTON, Del., Sept. 14, 2011 /PRNewswire/". Delaware: Prnewswire.com. Retrieved 2012-01-02. ↑ "USDOJ: Antitrust Division : E.I. du Pont de Nemours and Co. v. Kolon Indus., Inc". Justice.gov. 2010-05-04. Retrieved 2012-02-12. ↑ Archived April 15, 2014, at the Wayback Machine. Economic Espionage and Trade Secrets, U.S. Attorneys' Bulletin (2009). "Chapter 15: Trade Secrets and Confidential Relations". The Law of Unfair Business Competition. Baker, Voorhis. 1909. Protecting trade secrets under the Uniform Trade Secrets Act. Greenwood Publishing Group. 1996. ISBN 978-1-56720-016-4. Rockman, Howard B. (2004). "25.3: Nature of a Trade Secret". Intellectual property law for engineers and scientists. Wiley-IEEE. ISBN 978-0-471-44998-0. Becker, Susan J. (2005). "Chapter 13: Trade Secrets and Confidential Commercial Information". Discovery from Current and Former Employees. American Bar Association. ISBN 978-1-59031-485-2. Epstein on intellectual property. Aspen Publishers Online. 2004. ISBN 978-0-7355-0319-9. "Trade Secrets". International guide to privacy. American Bar Association. 2004. ISBN 978-1-59031-333-6. Snider, Jerome G.; Ellins, Howard A. (2006). "Chapter 8: Trade Secrets and Business Strategy". Corporate Privileges and Confidential Information. Law Journal Press. ISBN 978-1-58852-087-6. "Chapter 7: Misappropriation of Trade Secrets". Business torts & unfair competition. American Bar Association. 1996. ISBN 978-1-57073-294-2. "Chapter 4: Misappropriation of Trade Secrets (Massachusetts focused)". Intellectual Property Practice. MCLE, Inc. (chapter by Russell Beck). November 2004. ISBN 1-57589-291-X.